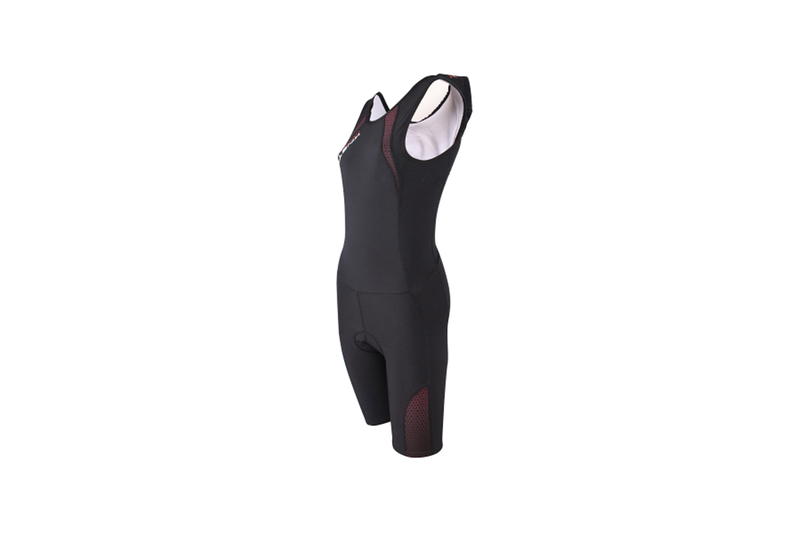 Compression Triathlon Suit Women – Black Pink | Kinetik Sportswear USA! 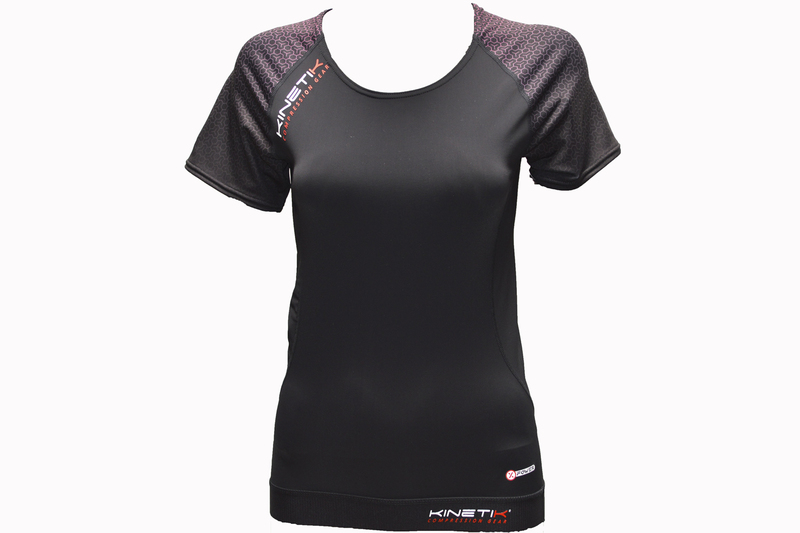 Compression Triathlon Suit Women – Black Pink | Kinetik Sportswear USA! A vigorous sport like triathlon demands athletic apparel that’s up to the challenge. 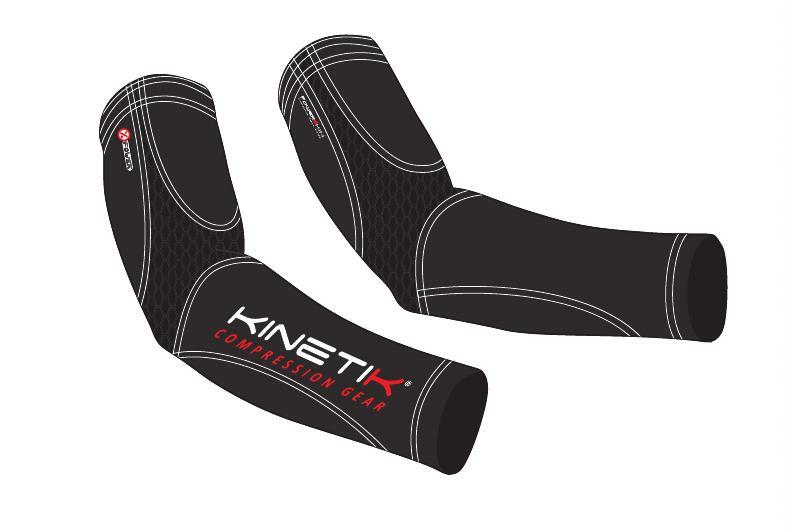 The Kinetik Triathlon Suit is the go-to item on race day, thanks to our proprietary 3SK fabric, which offers the unique compressive fit that all endurance athletes will enjoy. Kinetik’s 3SK fabric is not only water repellent but also sun protective. 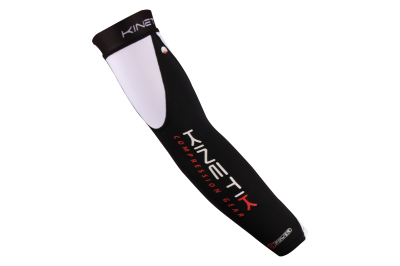 Stylish and functional, it easily transitions from swim, to bike, to run. Our form-fitting sleeveless suit rests comfortably on the shoulders, thanks to flatlock stitching. A seamless shelf bra encircles the chest with 360° of support and the back opens to a sleek cutaway above two easy-access angled pockets. 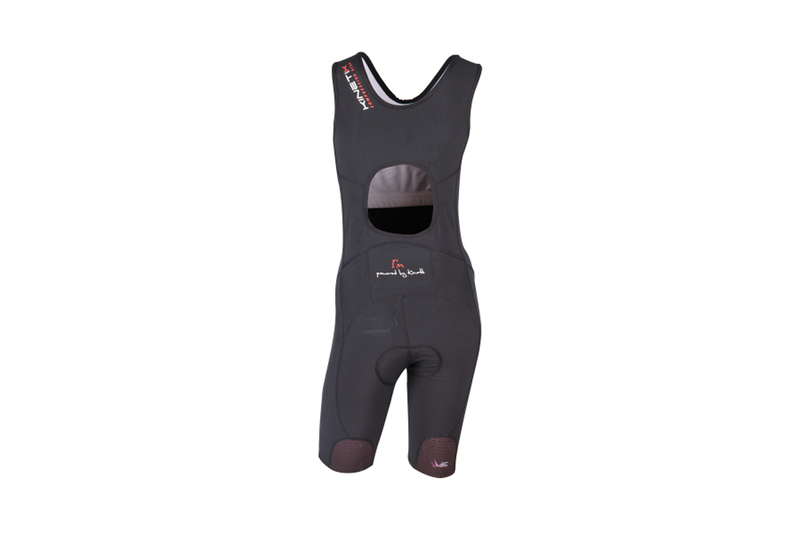 A thin, dimpled pad in the shorts offers saddle cushioning and expunges water. 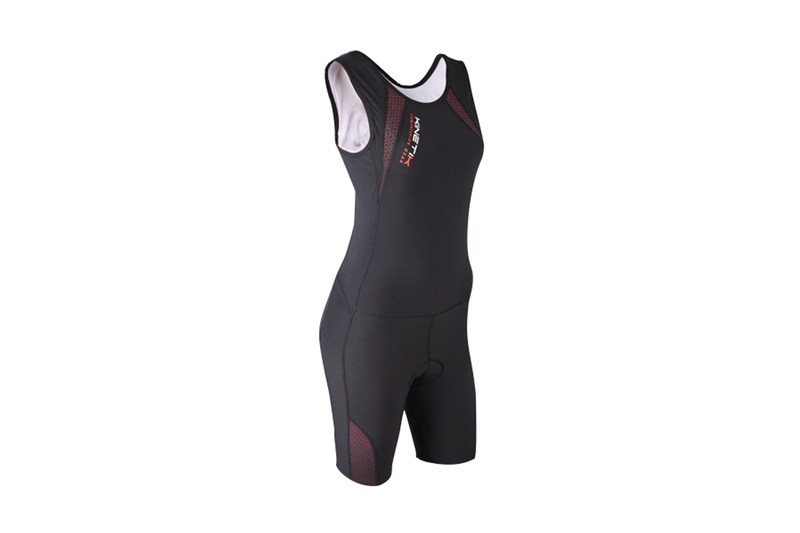 The Kinetik Triathlon Suit features compression panels in the abdominals, lumbar region, glutes, and quads, with silicone-dotted leg grips to hold it comfortably in place.